High frequency data streams that are collected at the field and transmitted to the office (data historian, databases ...) are not quite useful in their raw form. The raw data from wells are noisy, contaminated with outliers, and often times, redundant. In their raw form, the high frequency data does not lend itself to meaningful analysis and modeling. 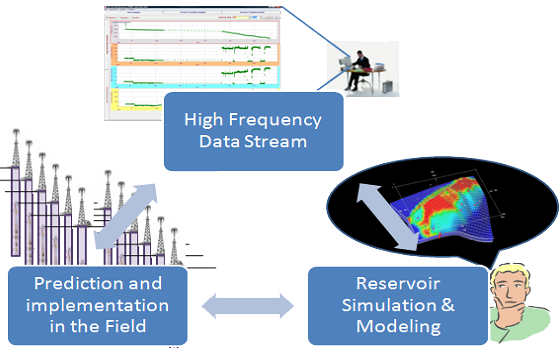 The high frequency data streams need to be curated and managed in order to be ready for analysis and be used by well and reservoir monitoring and management techniques and algorithms. ISI has developed unique workflows for curation and management of high frequency data streams. Our workflows are capable of de-noising, cleansing and summarizing the data. ISI's data abstraction workflows capture the major patterns in the data and removes the redundancies. 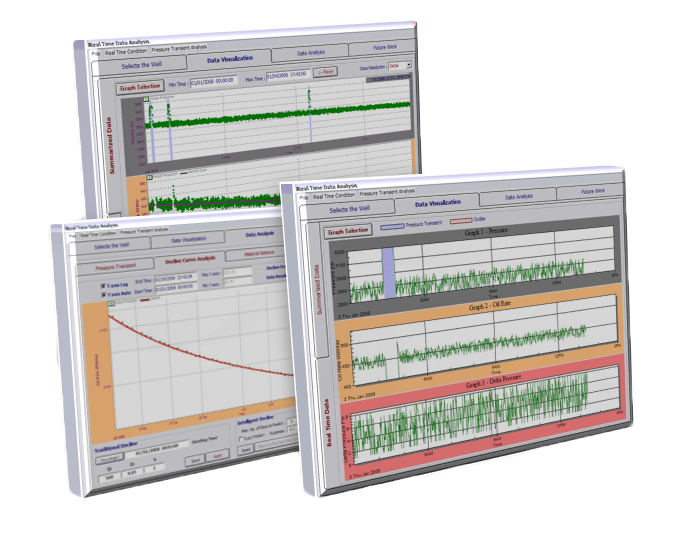 Preparation of the high frequency data streams for the analytical modules is the main objective of ISI's data curation and data management workflows. 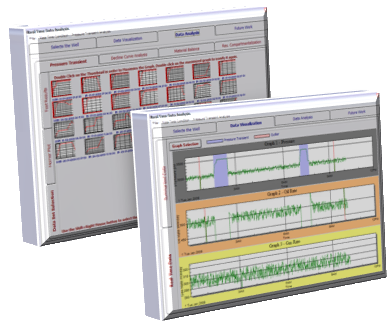 Our unique analyses of high frequency data perform multiple tasks such as detecting wellbore deterioration as a function of time, well behavior modeling using a proprietary algorithms for continuous improvement of the developed model. The developed model is trained to monitor well behavior using a perpetual learning and then predicting well's behavior. This is one of the most advance well monitoring and surveillance algorithms in the market. A thorough search of the literature reveals the alarming fact that our industry's accomplishments in analysis of high frequency data streams is quite limited. The most that we have accomplished can be summarized into	trying to monitor the production of a well, identifying when it has gone off-line, and attempts to characterize the reservoir only a few feet away from the wellbore using limiting analytical solutions that are often applied to well-testing problems. ISI had developed a new set of smart wellbore related analyses that makes the most of the high frequency data streams for individual wells. ISI's technology can continuously monitor the wellbore for damage and suggest proactive measures to intervene (performing workovers, acid jobs or hydraulic fracturing as appropriate) when damage to the wellbore starts being a problem. This process is performed automatically and autonomously and minimum interaction from the engineers that are in charge of the wells is required. 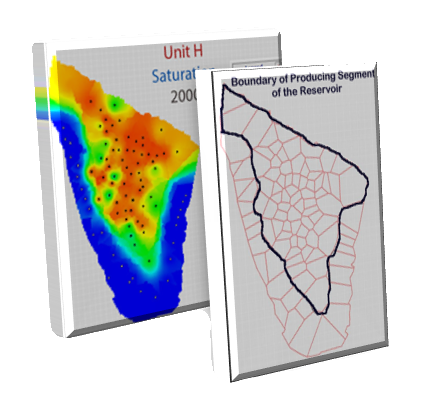 ISI's unique and proprietary smart algorithms performs real-time adaptive pattern recognition on the high frequency production and pressure data to model the wells behavior and predict future production. The model is self-correcting using a real-time feedback system that learns from its own mistakes and gets smarter as time goes on. ISI's smart wellbore production modeling takes into account the interference of offset wells while performing its adaptive modeling analyses. These smart algorithms not only work on oil, gas and water productions, they are also applicable to Gas-Oil Ratio (GOR) and Water Cut (WC), detecting early gas cap formation in the reservoirs as well as early water breakthrough. Reservoir Management is defining as the practical science of developing a hydrocarbon field in a manner that would maximize ultimate recovery. Intelligent Solutions, Inc. has introduced the concept of Real-Time Reservoir Management (RTRM) as the enabling technology for the emerging smart fields. 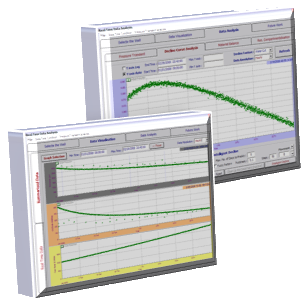 Real-Time Reservoir Management (RTRM) refers to a closed loop process during which the reservoir model is continuously updated based on the information and feedback from the reservoir in the form of high frequency data streams. The high frequency data streams reflects the consequences of the decisions that are made and implemented using the reservoir model closing the loop on RTRM. Availability of high-frequency data streams opens new doors for effective and efficient operations of wells and the entire field. The wealth of data that is now available to operating companies calls for a paradigm shift on the way we approach problem solving in the E&P industry. Being well aware of our industry's urgent needs and requirements, ISI has put together an inventory of unique and novel workflows to address them in the most effective and efficient manner.